I don’t wear chaps, ride a Harley, or own a power suit, but I have been called a strong woman. She’s bright and bold and blonde. The recent college grad with brave determination and golden locks asked a serious question at our Propel Women curriculum recording. 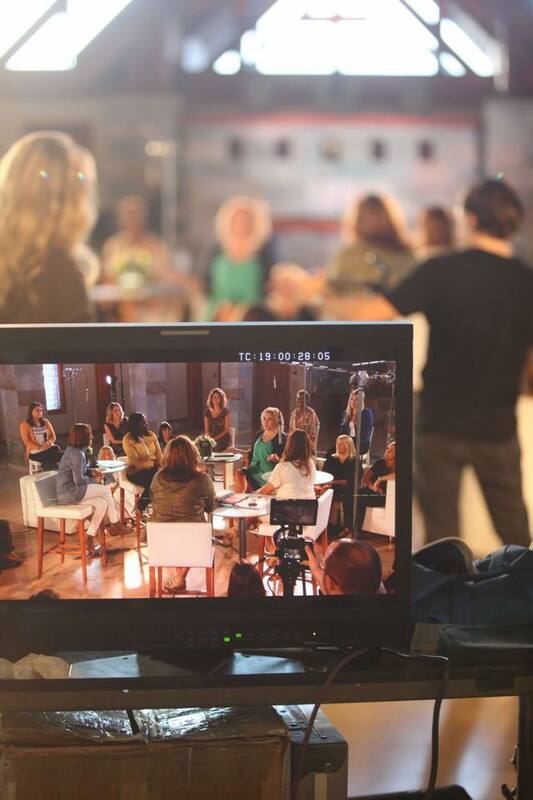 In a room full of women in the marketplace, ministry, and motherhood, she asked a question about being strong. But not in the sense of physical fortitude; she had been called a strong woman and wrestled with the implication that it was a bad thing. The two words independently are positive. But when strung together, the pejorative tone and negative tenure makes one feel that if you are called a strong woman, you might as well be labelled bully, beastly, or brutal. The question was answered in the round table discussion of which I was a part, but because of time, I couldn’t proffer a response. However, her question gnawed at me because I’m not sure we are providing language for the next generation that is aptly equipping them to be who they are created to be. Ten years later, as a employee of a global NGO, Creative Director, pastor’s wife, and stepmom, I have appropriated the label of strong woman to be an honor, not an insult. Let me explain. Language is interesting and intent is everything. When Christ ascended to heaven and His followers walked the earth proclaiming His power, the public and those in power referred to Jesus’ followers as “those Christians,” followers of Christ. It was intended to be mean. It was intended to embarrassing. It was intended to be hurtful. But–to quote Joseph in Genesis 50:20–what people intended for evil, God will use for good. The pejorative term Christian is now the label I proudly wear. I am unabashedly a follower of Christ and wear the title with pride. When we appropriate language and create context, we can take a word that was meant to dishonor and appropriate it in a way that provides camaraderie and clarity. I’m no longer offended or hurt when someone refers to me as a strong woman, because I am a strong woman. I’m unwavering in my convictions, committed to truth, fiercely determined, and unable to be silenced when God is urging me to speak. 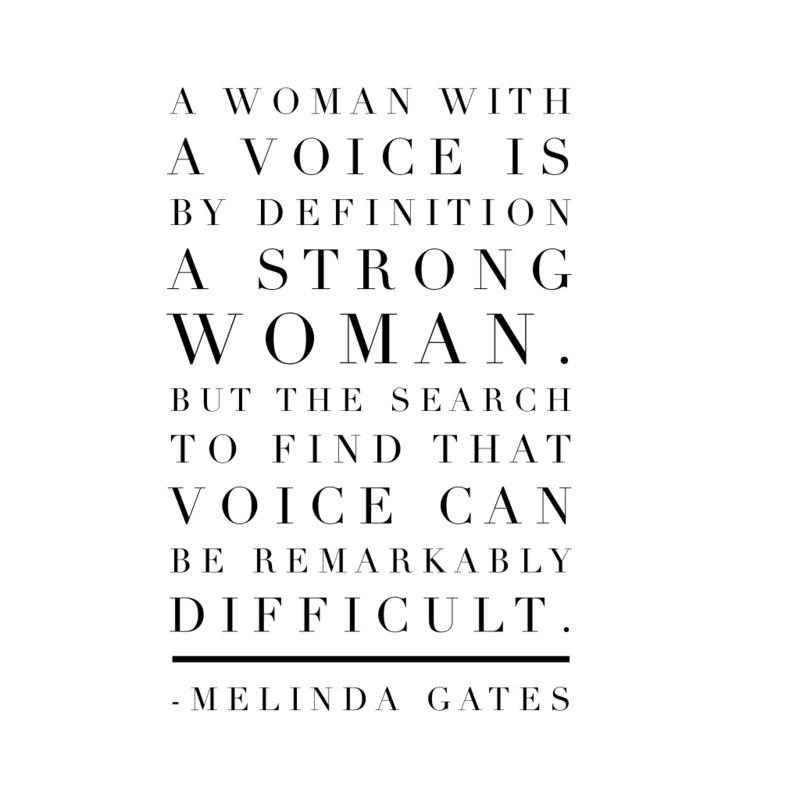 Melinda Gates once said, “A woman with a voice is by definition a strong woman. But the search to find that voice can be remarkably difficult.” To those who feel silenced, squashed, or scared, be Christlike and be confident. Christlike in our actions and confident in our convictions. We are living out Joel 2:28-29 and I refuse to wilt in a time where women are to rise. Who is a strong woman? YOU are a strong woman. Act like it. I needed to read this! Thank you so much. I feel like I questioned how God made me, but I believe I need to walk in the fullness of it. THANK YOU. Walk it out, girl! You got this. Bianca! Gracias por hacerle caso a Dios y compartir tus talentos con nosotras! Eres de gran bendicion a mi vida! Estoy lista para comenzar un studio biblico en mi casa y compartir tu libro! Bendiciones siempre! Estare en la conferencia de designedforlife en Springfield, MO Oct 6-8 Espero tener la bendicion de conocerte en persona! Wow. I’m so convicted. I admit I’ve said this statement and meant them both for the good and the bad. I feel like I owe my wife an apology for not allowing her to lead in the way she is fashioned to. Thanks for chiming in, Steve. I SO value your words and appreciate that you heard my heart in this. Your voice is heard and your words appreciated. I AM a strong woman! Yes!! Love!!! What I love about you b is that you are a strong woman, yet you allow others to see your weakness. And that doesn’t define who you are! Great read! Hurry up and have your baby girl! As a young lady with a strong calling from God it’s been intimidating to claim that label of being Strong Woman. Hesitant even to approach the idea. This has given me an enormous amount of encouragement and inspiration. Thank you! Get it, girl! Proud of you, Nicole. A year ago my hubby and i began to serve in music ministry at a church that he felt more comfortable with. It was a change for me because i left my home church of 15 years. The pastor is young and a little bit macho, i feel i rub him the wrong way with my strong woman personality, (i am not intimidated by males, i grew up with 4 brothers and manage an office with mostly males, and have a very outgoing personality). I am learning to filter comments, hush more and pray so i don’t seem too dominant, especially since i married a quiet and shy man who i love to pieces! Pray for me, my problem isn’t finding it, it’s that i use it waaay tooo much sometimes. Thank you for this boost! If you ask my friends and family about who I am, they say I am determined, ambitious, and independent. If they only knew my heart is confused, weary, and unsure. I do feel God calling me to do big things and speak out, but I too often let others opinions and fear of rejection, from friends, influence me. I love God and I am not afraid to say it, but I hold myself back. I need to be the strong women the people around me see and share my faith and love in God. His opinion is the only one that should matter. I am a strong women of God! Thanks again! Thank YOU for reading. Glad we could be in this together. Thank you for taking the time on this, B 🙂 Beautifully written and timely, indeed. Love you! Since becoming a single mom I get easily annoyed when folks try to use “this will make you stronger” as a way to make my new challenges sound better. Sometimes I don’t want to be stronger if it means having to do EVERYTHING. I am not interested in learning how to fix a car, TV,lawnmower, plumbing issues, etc. It will make me more knowledgeable and make me more self sufficient but it is not something I get joy from or care to boast about. I do pray for emotional strength to get me through the tough times. So being STRONG has been a topic on my mind lately and it was nice to read your experience. I look forward to hearing you this Saturday in Arlington, Texas! Bianca, do you give conference in Spanish? Our Latin community needs you !!! 🙂 Hope to see you soon in Oklahoma!! You are awesome! KIR lol learned this tonight! thanks For teaching to build those bridges and walk through and allow God to work! Thanks for telling us keep it real because we can lie to our neighbors our family our spouses ourselves but we can never lie to God! What a great read! And it couldn’t have fallen at a better time and place. In this season, I’ve been learning a great deal about my identity in Christ and His beauty that manifests in diversity – even in strength and character. But what I’ve noticed is a lack in modern-day examples of such “strong women”. I’m sure you know plenty but could you possibly refer us to a few? As a student, I’m dying to know, read and follow (via social media) so that it serves as another encouragement/reminder to live the strong life He’s called me to live! Do you have any other conferences you’re going to speak at? I’d like to take a girls trip to hear you speak with one of my girlfriends! I am a strong woman and a child of God. I stumbled on a preaching of yours on the internet and thus found your blog. Thank you for preaching boldly the word of God! Don’t miss out on the chance to start your week off right with a 5-minute video devotional from Bianca, sent to your inbox each week.